"Erosion O.S. Bridges 29-30 Northampton Sect[ion]"
Black and white photograph of erosion on the Grand Union Canal at Northampton. 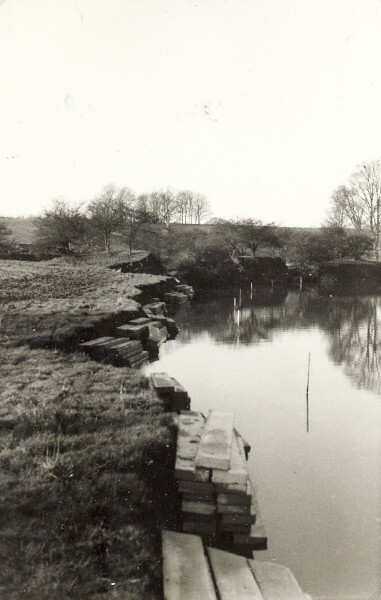 There is piling at the edge of the canal on the left of the photograph and ranging rods in the canal on the right. This photograph is on page 28 of the C N Hadlow photograph album.